Phoenix Blinds Shades Shutters; BlindzMart offers a large selection of wood blinds, faux wood blinds, cellular shades, honeycomb shades, pleated shades, roman shades, roller shades, woven woods, vertical blinds, mini blinds, plantation shutters, and so much more. We offer an 110% best price guarantee, free in-home estimates and free installation on all blinds orders. So, for the best price on window treatments in the Metro Phoenix area; call BlindzMart today and schedule your free in-home consultation. Window Blinds – BlindzMart has a large selection of name brand window blinds. Choose from Horizontal Blinds and Vertical Blinds in many styles, patterns, and colors. 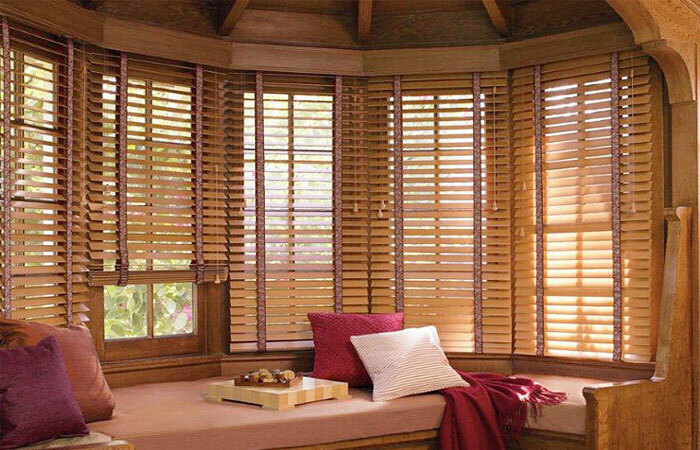 We carry window blinds from Hunter Douglas, Graber, Bali, and many other blinds manufacturers. Window Shades – BlindzMart carries a large selection of custom window shades such as; Cellular Shades, Pleated Shades, Roman Shades, Bamboo Shades, Roller Shades and more. We carry window shades from Hunter Douglas, Graber, Bali, and many other blinds manufacturers. Plantation Shutters – BlindzMart sells only real wood plantation shutters. Therefore, we do not sell inferior shutters made from vinyl or polywood. In addition, our real wood shutters are priced less than the competition; who sell shutters made from cheap plastic and polyresin. So, for the best in plantation shutters, compare our shutters to competition. BlindzMart Best Price Guarantee – BlindzMart has the best price on custom window treatments in the Metro-Phoenix area of Arizona. 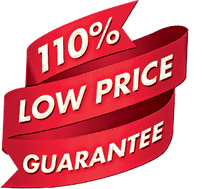 Because, we are so confident of our low prices, we offer an 110% Best Price Guarantee. Therefore, if you do happen to find a lower price on any type of window treatments including; blinds, shades, and shutters BlindzMart will match that price plus an extra discount of 10% of the difference in price. This is the BlindzMart 110% best price guarantee. Free Estimates – BlindzMart offers free in-home consultations and measuring. In Addition, we will come to your home, measure your windows, show you samples; and give you a free estimate on you window treatments. Also, be sure to ask about our 110% best price guarantee! Free Installation – BlindzMart provides free professional installation; and a limited lifetime warranty on all of our custom window blinds, window shades, and window shutters. So, don’t break a sweat, leave the installation to our window treatment professionals!